3GP format is supported by many popular mobile devices today, so if you want to rip Bluray to 3GP video format and put your Bluray movies on mobile phone, WinAVI Blu-ray Ripper is a tool for you convert Bluray movies to 3GP file. 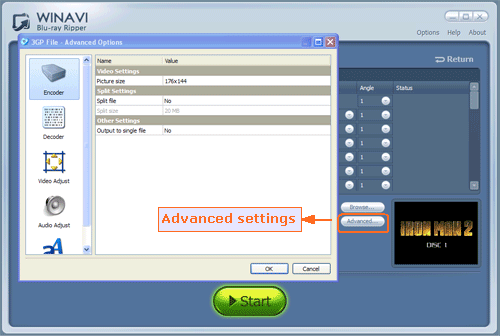 And this article guides you the detailed steps for Bluray to 3GP conversion. Step 1: Free download WinAVI Blu-ray Ripper, and then install and run it. 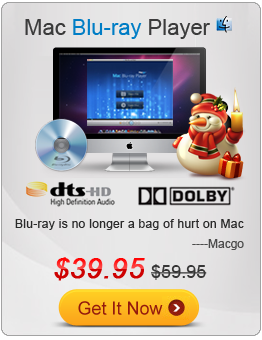 Step 2: Load Blu-ray movie files that you would like to rip by clicking "Convert from Blu-ray Drive " button. Then choose "3GP" format on the pop up small window. Step 3: Click "Advanced " option to customize 3GP video of output. Step 4: Click the green "Start" button and the program begin to rip Blu-ray to 3GP format for you. After the Bluray to 3GP conversion is complete, click "Open the output directory" to check the converted 3GP video format and then put this file on your mobile phone.